As most of you know, a little over a year ago in February of 2017 Jacquie suffered a massive, debilitating hemorrhagic stroke. Those early days and weeks were very medically challenging and it was unclear how or IF Jacquie would ultimately recover. After 6 arduous weeks of fighting for her life in the Yale Neurological Intensive Care Unit, Jacquie was transitioned to Gaylord Rehabilitation for 4 months of intensive therapies where she made significant progress towards gaining independence: improvement in swallowing, feeding, speech therapy etc.. Following this challenging therapeutic rehab experience she was discharged to a rehab center in Fairfield. Jacquie returned home eight months ago. While she has continued to progress, recovery is slower and it is unclear how complete the recovery will be. She is still in a wheelchair and fully dependent on her husband, Larry, sister in-law, Jill, family from California, and many other care providers. 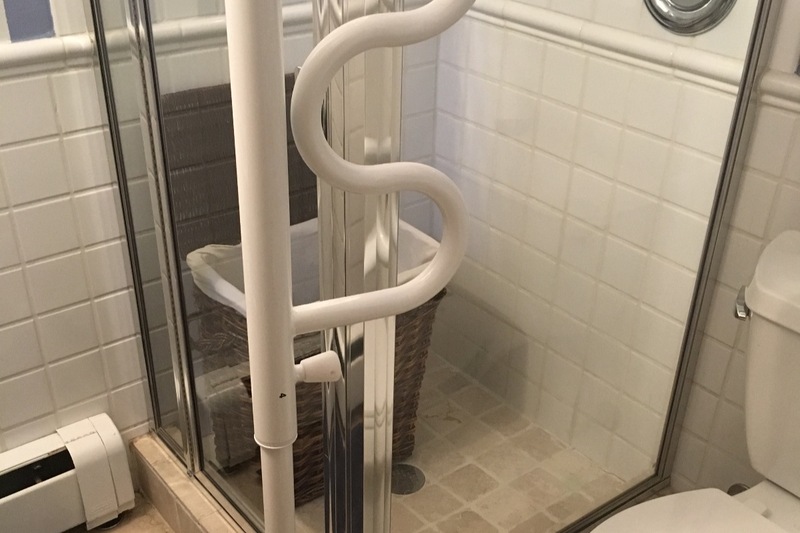 Life at home has it’s own set of challenges from the vantage point of a wheelchair: narrow interior doorways, lack of a wheelchair accessible ramp for entering & exiting the home, and limited access to the kitchen only to name a few. Before her stroke Jacquie had an 11 year career with Oracle most recently serving as Senior Director in the health sciences group. She took a very active role in raising their daughter, Avery now 10. Accompanying Avery to her activities, birthday events, and school commitments was something Jacquie always took pride in doing. She enjoyed Yoga classes and was an avid golfer. In short, she was like all of us: multidimensional and enjoying a full work, family, and recreational life. Recently Jacquie was admitted into an outpatient program in Norwalk. However, upon starting the out-patient program her home health aide support was cut off. Now, Larry and young Avery must be responsible for attending to all her daily living needs. This understandably has resulted in an inability for Larry to resume full employment, which in turn has amplified the healthcare cost burden on the family. A prideful man, Larry has resisted overtures for financial help for many months. He chose to draw down the family's savings rather than ask for help. Unfortunately, the costs have now become overwhelming. Jacquie’s projected healthcare costs for the next two years are projected to be over $100k - Insurance, deductibles, therapy equipment, home modifications needed for wheelchair accessibility ….. the list of financial demands is nearly endless ! We are fortunate to live in an affluent community, and most of us are lucky enough to have successful careers. Until two years ago, Jacquie and Larry were as fortunate as we are. It is sobering and sad to realize how quickly this can be lost, and how precarious our seemingly stable lives can actually be. Please join us in our goal to ease their burden. We are starting this “Go Fund Me” page in an effort to raise $100K to help support our friends in need. With our help, Jacquie can continue to progress with her rehab and her home can be made more comfortable and accessible. Our small contributions will go a long way, and Jacquie (and Larry) will be eternally grateful for your generosity of spirit. As many of you may know, yesterday February 11th marked the 2 year anniversary of Jacquie's devastating stroke. On behalf of Larry, he reports they are just now realizing the severity of the event. Her survival of the stroke was followed by 6 mths. of not knowing the full impact, to a strong year of progress, countless hours of therapy and evaluations, and hope for the future. Now, they remain hopeful for continued progress. They have finally grasped the enormity & extended duration of the challenge. Jacquie's stamina is much improved but she still struggles greatly with speech & motor control. For a person so fiercely independent pre-stroke, she still finds her dependency on Larry & others agonizing. She continues to work with therapies 5 days a week but it is still uncertain if she will ever be fully independent again. In spite of daily obstacles, Jacquie, Larry, & Avery took their first airline trip post- stroke to visit family in California over the Christmas break. 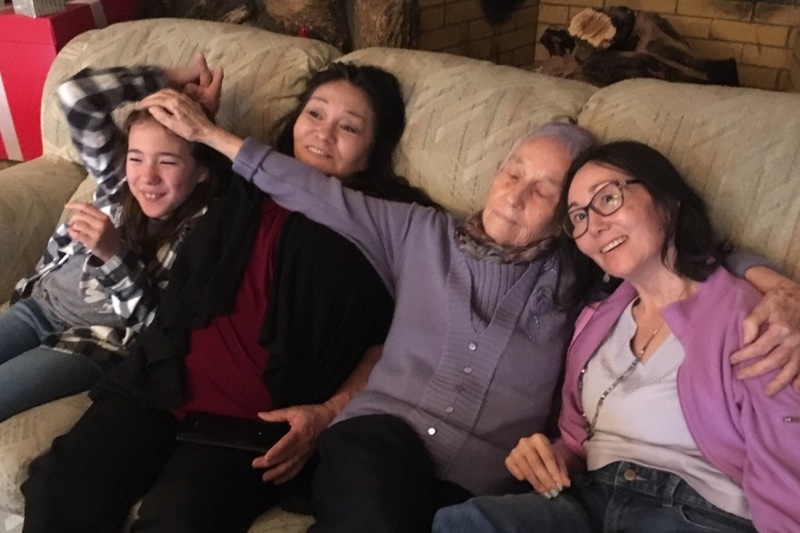 The airline travel was exhausting for all of them but they really enjoyed connecting with Jacquie's mother, sister, father, & friends on the West Coast!! They are looking forward to traveling to Hawaii in October to celebrate Jacquie's grandmother's 100th birthday. Larry wants everyone to know he Jacquie are so grateful for all of the physical, emotional, and financial help they've received from all of you! They ask for your continued prayers, love, & support. I realize we are well overdue for a status update on Jacquie's rehabilitation. Jacquie, Larry, and Avery are settling into their albeit busy therapy and school routines. Jacquie continues to push herself during all her therapies and is most recently benefitting from vision therapy which has helped her balance & eye "tracking"! 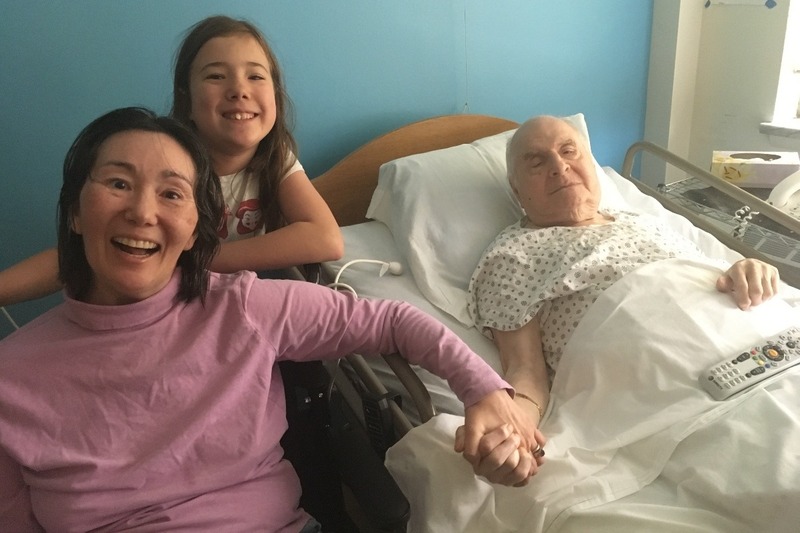 Despite her progress across all therapies, she is still unable to do most things on her own which has Larry considering returning to work in some capacity in order to keep up with Jacquie's care at home & rehabilitation. Thanks to your generous donations Jacquie and Larry have been able to hire a home health aide that comes twice a week for a half day!! The home health aide assists Jacquie with bathing, dressing, & eating. As you can imagine, this is a huge help for both Jacquie and Larry! 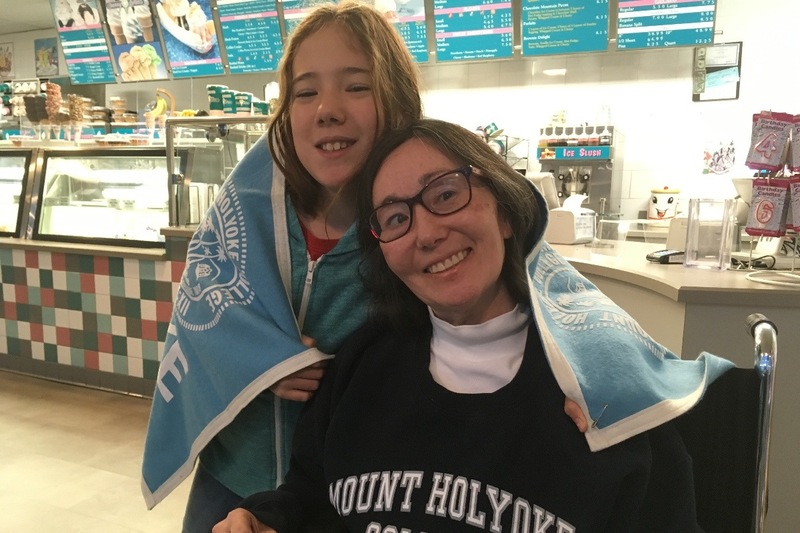 It is hard to believe it is almost 20 months since Jacquie's stroke, but through it all she has remained optimistic and most always sports her beautiful, signature smile. One of her current challenges is having more social interactions, even though it is exhausting. A visit or a phone call with Jacquie is always welcome whenever you have time. Visits are both mood enhancing for Jacquie & stimulating for her neurological system!! All positives. On behalf of Jacquie, Larry, and Avery thank you for your continued love and support! On Feb 11, 2017, 18 months ago, Jacquie Marumoto had a stroke. For the first 2 hours, I had no idea anything had happened. Once alerted, for the next 24 hours I had no idea if she would survive. Then, for the next 72 hours I had no idea if she would regain consciousness. For the next 3 weeks I had no idea if she would ever breathe on her own. For the next 4 weeks I had no idea if she would recover use of her limbs. For the next 4 months, I had no idea if she would ever come home. It’s been a wild ride. Now 18 months later, Jacquie has made remarkable progress given that the mortality rate of this type of stroke, which accounts for 10% of all strokes, is over 50% in the first 3 days. She has limited use of all limbs, limited speech, seriously impaired motor control, and bouts of severe depression, but according to a recently completed neuro-psych evaluation, Jacquie’s executive function (higher order thinking skills) and auditory attention skills are very strong. Translated that means she’s still the Jacquie we know, love, and respect but trapped in body that won’t work the way she wants. 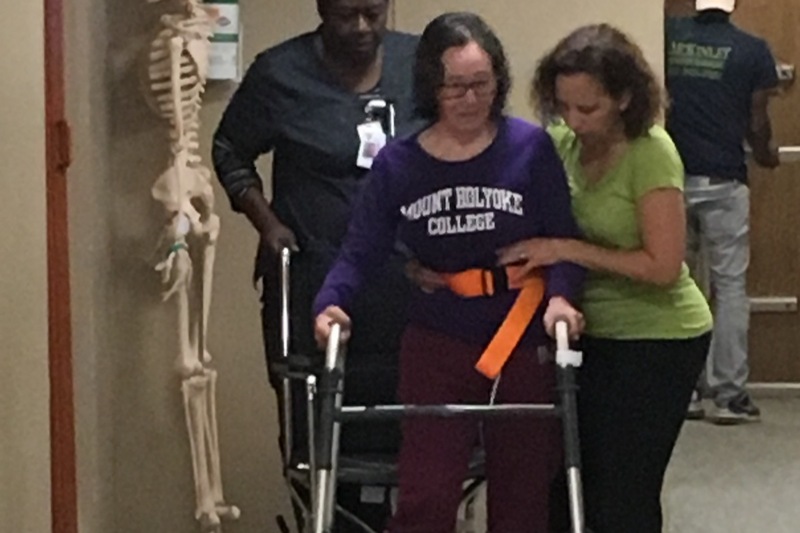 Looking forward, we still expect to see improvement – the other day she walked over 100 feet with a walker and a single therapist helping her – but, in reality, we still don’t know how long a full recovery will take or if it’s even possible. Your continued hope, prayers, assistance, and contributions make a huge difference to our family. It may be hard for you to maintain interest after all this time, but believe me, Jacquie needs it and benefits from it. Today, I am also starting a blog focused on advice for male caregivers. I’ve learned a lot and I want to share that knowledge. I’m doing it using a pseudonym to protect Jacquie’s privacy. More info to come. Larry and my dad's obituary is going to be printed in this Friday's Westport News. In anticipation of that, I wanted to take a moment to let all of you who are supporting my sister-in-law, Jacquie, know how much our dad, Bob, loved her. I happened to have been visiting our dad, when Larry called to tell me that Jacquie had suffered a stroke. In the months and months that followed, not a conversation was had when our dad didn't ask about her. Since he had been confined to a wheelchair for many years and was unable to help financially, he was frustrated that he couldn't do more. This photo, taken by Larry earlier this year on May 6, was the first time our dad had seen Jacquie since her stroke. You can't help but grin when you see the smiles on their faces. For those of you who know me, you know that I'm not particularly good at asking for help. 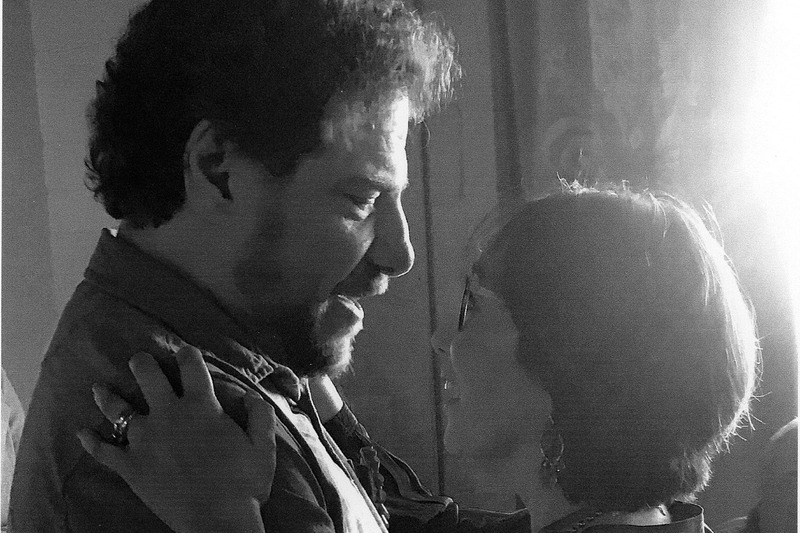 Jacquie's medical bills continue to grow and any small amount that you can share would be appreciated since she still has months of therapy ahead of her. We are forever grateful and thankful for your support.